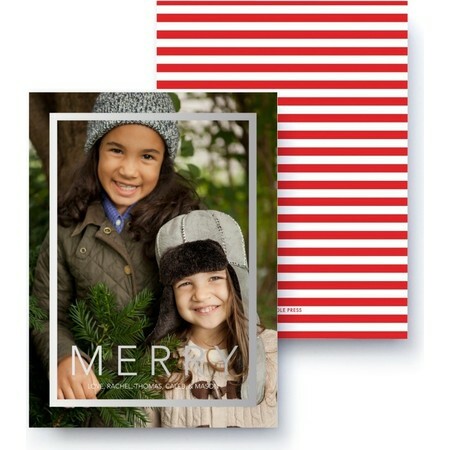 Whether you think of candy canes or elfin socks, this classic red and white striped pattern is sure to bring a smile. A full-size photo wrapped with a white border and your custom signature text let you show off a portrait. Merry, indeed!